Imagery is very important in website design. It improves the visitor retention, grabs their attention, and even enhances the search engine optimization. Without images on your WordPress site to accompany the content, your quality writing will lack an essential piece. So, while your text remains the website’s essence, the visual elements like images or infographics are crucial to making it compelling and attractive to the visitor. Without imagery, the visitor can easily get distracted or bored, or you might not even get their attention to read the content in the first place. With that in mind, you need imagery to enrich your blog posts. Research has shown that articles that have images in addition to text get 94% more views than articles without them. But, it isn’t all about adding imagery in between content. You can’t just put anything you find on your blog. In most cases, it is forbidden and illegal to use images without permission. In others, imagery might not be of the quality you need it to make the website good. Even with visual components, you need to know the rules. In addition to getting quality photos, you need to know where they are stored and how you should arrange them. You are in luck because that’s exactly what this article is about. Where are Images Stored on WordPress? Once you know where to find them, it is very easy. The WordPress image gallery can be found in the storage folder with the name wp-content/uploads/. You can use the hosting directory to access this single folder for image storage. It contains all the WordPress images, so all that’s left for you to do at this point is to find the targeted ones. To do this, you can use the search options WordPress offers. You can use image tags. Basically, WordPress uses subfolder organization based on months and years when you released a post, so if you remember a release date, you can use it to find your images, too. So, to access photos on the platform, you can either use the Dashboard and find the Media directory or use the File Transfer Protocol to establish a connection between your host and yourself. The latter is, of course, much more complex, so you should definitely skip it if your CMS proficiency isn’t all that high. Finding the photos in WordPress is very easy when you use the first way. Use the media section on the Word Press dashboard to find all your media. Use the search filter to find images by file type or month. This system will also provide you with information about the picture’s dimension, size, description, alt text, or other things that are pertinent to the specific graphics. You can also use this to edit the images within the platform. 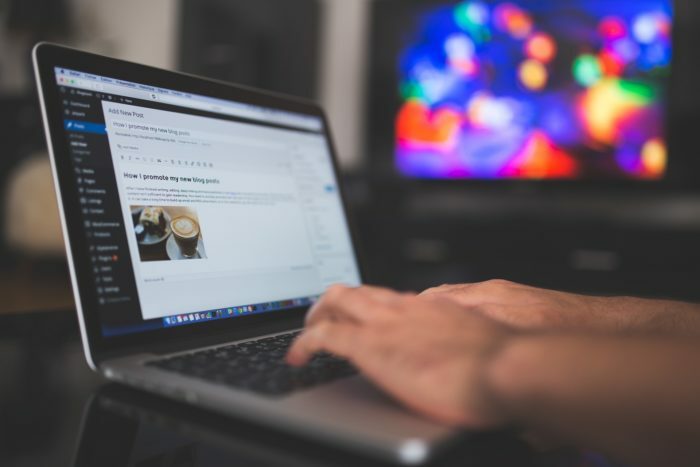 If you have more experience with WordPress, more specifically the File Transfer Protocol, you can connect to your host to access the images and their folders. Many people prefer this method over the other, but basically, it all comes down to what you need. This method does not provide the same data as the WordPress dashboard tool. At this point, you probably already know that WordPress isn’t all that simple when it comes to the administration of images. For this purpose, there are plugins and as always, they are extremely helpful. To arrange images on WordPress and do this with ease, you can use some of the variety of popular image gallery plugins. A simple search image gallery on the platform will give you access to thousands of results, most of which tag to mark images by topics and names. So, labeling the photos is a smart thing to do to help this process in the future. Even so, you have probably figured this out already if you’ve been using WordPress for a while – not all plugins are great. So, you need to carefully find a reliable one and avoid the broken or outdated tools that can do more harm than good (such as delete your image tags instead of helping you find images with their help). Plugins can help you assign the media you have stored to albums and access them as such. You can use such tools within your dashboard to organize the images. Moreover, you can use plugins that organize images not by albums, but by image tags. If you keep adding tags to your images, searching for them will be much simpler, and so will the organization process. Tip: If you choose to organize with the help of image tagging or albums, keep in mind that once you uninstall such a plugin, all tags and albums will go away. In some cases, they might be retained, but make sure to check before you make rash moves. Finally, you can organize the WordPress images by file names. Label them with some keywords and remember them – you can later use these as your search criteria. When you search for the keywords you have chosen, all the images that contain that word in the file name will be instantly displayed. This approach also has a small problem. Organizing your Word Press images by their file names can interfere with your SEO. So, you might want to stay away from this, unless you plan on using similar, topic-focused names for all images uploads. If you do the second, you might end up improving your SEO strategy, even. Envira Gallery is a simple, drag-and-drop plugin for image administration. It is focused on your website optimization and its performance, therefore keeping it responsive and mobile-friendly. In the meantime, you get basic features and a lot of help with image arrangement. Photo Gallery by 10Web already has over 350 thousand downloads on WordPress, making it one of the top choices among this platform’s users. It has many options to give and is user-friendly, with frequent updates and a very simple navigation. Responsive Lightbox & Gallery is the third very popular option with, once again, over 350 thousand downloads. The free version is mostly automated, but there are advanced, paid solutions you can try, too. Imagery is an essential segment of your Word Press posts and when accompanied by quality content, they can yield excellent results and boost your SEO. This post tells you where you can find your images and how you can arrange them, all to make your life easier when using the platform and boost your odds at ranking high in search engines.